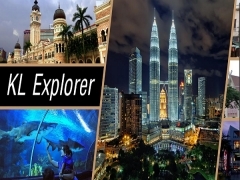 Enjoy an exciting stay in city and explore the wonders of Kuala Lumpur. Furama Bukit Bintang is situated next to the golden triangle and close-by to famous shopping malls, night entertainment spots, tourist attractions and business district. It’s all within an easy reach whether you’re travelling by taxi or monorail. Checkout Furama Bukit Bintang for more details about this offer and to book your accommodation now!